How much is table service at On The Record? Bottle service minimums varies depending on the talent spinning, and the number of people in your party. Contact us below and we’ll get you a custom quote for your party shortly! View table pricing directly on our free mobile app, or book On The Record bottle service directly on our webapp. Which is the best table at On The Record? All tables at On The Record are good but the best are near the dance floor. 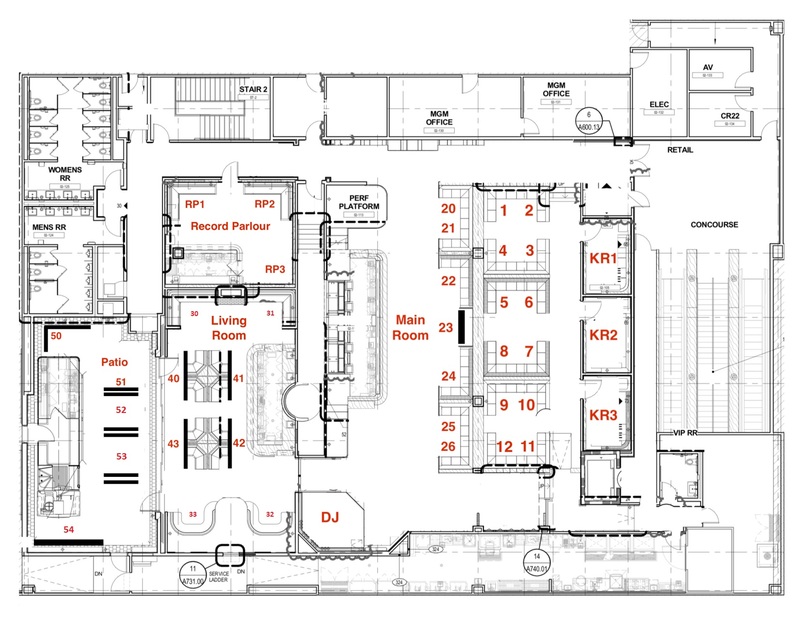 You can see the table floor plan below. We do not currently have a full bottle menu available for On The Record. Fill out the form below if you have questions about any specific bottle prices or want to book a table and someone will get back to you shortly.